Here is a blank map of Europe. 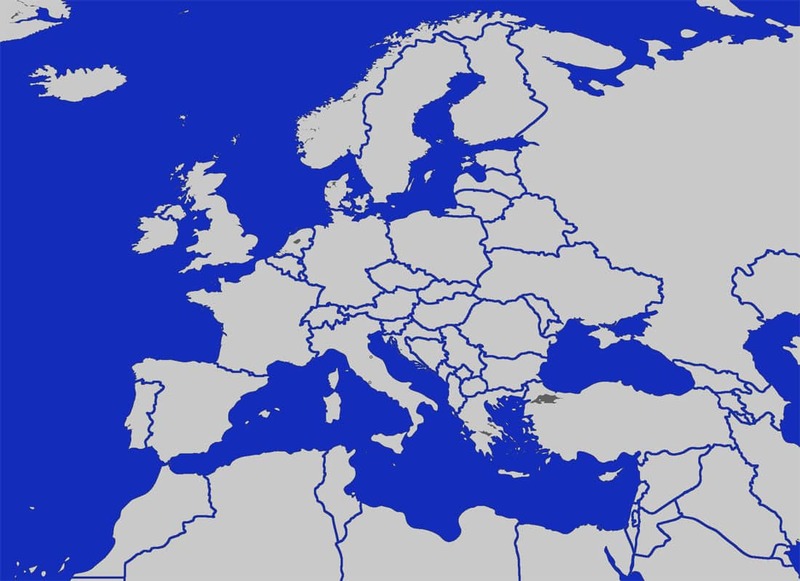 Unlike most other blank Europe maps we have made the oceans blue to distinguish them from the actual continental mass. The assignment here is to try and name all the countries. You can either do this in a program like MS paint or you can print the map out and then hand write all the country names in.